From single-family houses to apartment buildings and commercial properties, Entrust clients have a long history of investing in real estate to bolster and diversify their retirement savings portfolios. Our new 2018 Real Estate Investor Market Research Report offers analysis and insights into where and what kinds of transactions Entrust clients are making, and how the return on their investments is adding value to their Real Estate IRAs. The report also looks at broader real estate market trends, and provides real estate and financial professionals, insights to help them grow their business. More than 70 percent of the properties bought—and 64 percent of those sold—by Entrust clients in 2017 were single- and multi-family residences. 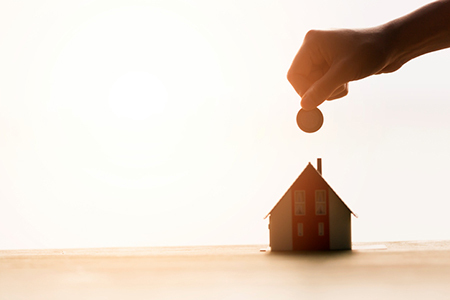 While some investors buy properties to renovate and resell them (just one of several examples included in the report), most use their real estate investments to generate rental income in a tax-advantaged IRA. This strategy plays well in the current period of rapid growth in both the number of renters and the amount of rent they pay. The number of states where Entrust clients invest their Real Estate IRA assets keeps expanding. In 2017, states like Kansas, Idaho, and Illinois were added to the list. Purchases in Texas slipped, which allowed Florida to move into third place, after Arizona and California, the perennial leader. Along with Texas, 2017 purchases decreased in Arizona and Montana. They increased in Florida, Indiana (moving into fourth place), and Georgia. Three of the four top states for real estate purchases in 2017 were also among the top for sales. California, Arizona, and Florida took the top spots in both lists. Texas placed fourth in terms of sales. Given that these states have the most mature Real Estate IRA market among Entrust clients, these statistics are unsurprising. Overall, sales figures follow the pattern set in 2016. The South accounted for 27 percent of the sales made in 2017, and those sales led the nation in return on investment. In Florida, ROI averaged 58 percent, and in Georgia, it averaged 41 percent. Return on investment continued strong in the West as well, averaging 23 percent in California and 15 percent in Colorado. In the West, Arizona was an outlier, with a mere 4 percent ROI. The Midwest is represented by Missouri, with an average ROI of 15 percent. Our 2018 Real Estate Investor Market Research report is an example of the priority we place on educating investors and the professionals—real estate agents and brokers. This report’s detailed analysis of purchases and sales data, and comparisons to 2016 can help you understand the market and the potential to diversify your retirement savings portfolio with a Real Estate IRA. Download our new Real Estate Report here.